Consistently ranked among the very best business schools in the world, the University of Washington’s Michael G. Foster School of Business is a collaborative learning environment placing a special emphasis on leadership and strategic thinking. Over 1700 undergraduate and 800 graduate students pursue a broad range of study options tailored to each person’s career goals. Our unpretentious graduates roll up their sleeves to solve complex, unstructured real-world problems in a wide array of business environments. Those making admissions decisions for the Foster MBA program look for leadership potential, academic strength, communicative ability, and intellectual ability. They evaluate quantitative and language skills through transcripts, GMAT scores, GPAs, and, if needed, TOEFL scores. UW does not have minimum GMAT score or GPA requirement. "If a student is ...Those making admissions decisions for the Foster MBA program look for leadership potential, academic strength, communicative ability, and intellectual ability. They evaluate quantitative and language skills through transcripts, GMAT scores, GPAs, and, if needed, TOEFL scores. UW does not have minimum GMAT score or GPA requirement. "If a student is lacking in one area but strong in others, he or she may still be admitted," the school says on its website. For the most recent class admitted, the average GMAT score was 682, and the average GPA was 3.38. These students averaged six and a half years of work experience. Students find much to like about their classmates, the lifestyle, and the opportunities offered at the University of Washington. “UW has a collaborative, rigorous, and chal­lenging academic environment, plus a sense of work/life balance that many schools do not have,” says one student. “When I visited [before enrolling], I met several students, faculty, and staff, who all impressed me with their intelligence, enthusiasm, kindness, and humor. I knew that this was the type of community I wanted to be a part of.“Smart people without the attitude,” is how another MBA candidate described his class­mates. Another says, “One of the greatest things about the MBA program is that there were activities and clubs for my wife. Some of these activities were social, while others were community-related.” But improving the “quality of child care or providing child care for all students” is area that needs to be addressed, student agree. One area that doesn’t need improvement are the facilities; the business school’s new state-of-the-art building opened in the Fall of 2010. MBA Career Services in the University of Washington program offers network events, career-evaluation tools, a mentorship program with local business leaders, an online jobs data base, and personal career counseling. They “excel at connecting students with alums and other business leaders in the community and elsewhere. They stress the importance of networking and help students to establish a network.” The center boasts “great connections to the Seattle business community,” and “relationships with world-class companies like Microsoft, Starbucks, [and] Amazon.com.” “In most cases, students are extremely successful in landing desirable internships and jobs.” Students also say there’s room for improvement: “UW could improve getting access to companies and jobs outside the Pacific Northwest,” one student says, and others’ com­ments echo his opinion. However, the career center now subsidizes travel to other regions for interviews and career treks. AT&T Wireless, Alaska Airlines, Hewlett-Packard, Intel, Microsoft, Hitachi Consulting, Samsung, Starbucks, Tektronix, and Wells Fargo are among the companies that recruit on campus. The University of Washington enjoys a long-standing reputation for excellence in education and research, receiving more government research funding over the past 26 years than any other public university in the United States. The low faculty-to-student ratio and collaborative culture create a dynamic entrepreneurial learning community where connections are easily made. Its sixteen schools and colleges provide education to 34,000 students, who can choose from more than 100 academic disciplines and 5,000 courses. International students have a student organization and an elected advocate on the MBA Student Association board to insure the needs of international students are met. International students elect a student representative focused on enhancing the MBA experience for non-native students inside and outside the classroom. This is a key focus of the MBA Portfolio club. Also, the University of Washington has excellent programs for graduate students, and both our community and major companies in the region have supported MBA students of all sexual orientations. Diversity Club is an MBA club that provides support and events for students representing diverse backgrounds and interests. Many business and professional groups in the Seattle area focused on minority business people provide personal connections and support for MBA students from underrepresented minority groups and students from various national origins and cultural backgrounds. Help is available on both a personal and professional level. The Student Support Network (SSN) links students with strong backgrounds in various disciplines with those who need support. The SSN sponsors special group study sessions as well as connections to tutors inside and outside the MBA program. The Women in Business student club is very active in addressing the needs of women in the MBA program at both the personal and professional level. 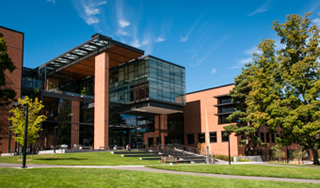 Want more info about University of Washington, Foster School of Business Part Time MBA? Get free advice from education experts and Noodle community members.